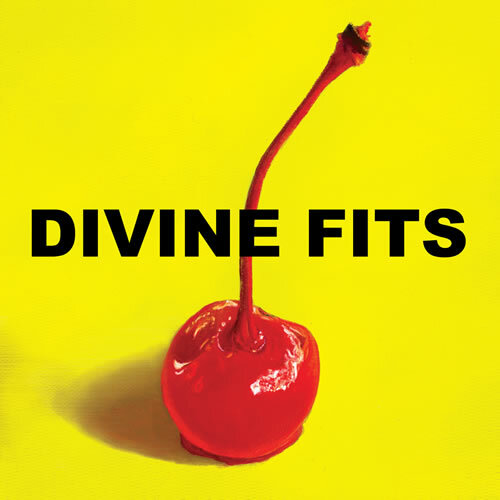 Divine Fits are an indie-rock / indie-electronic supergroup consisting of Britt Daniel (vocalist and guitarist of Spoon), Dan Boeckner (Wolf Parade/Atlas Strategic/Handsome Furs) and Sam Brown (New Bomb Turks). Only months after forming the trio have released their debut album, ‘A Thing Called The Divine Fits’. Made up of 11 tracks the album is a mixed bag of sounds and influences and see both Britt Daniel and Dan Boeckner taking turns at vocals. The first half of the album features the more high energy material while the second half becomes more experimental. “My Love Is Real” is a brilliant opener made up of buzzing 80’s synths and a steady 4/4 electronic beat. Although heavily stylized the production itself is quite minimalist and juxtaposing against the punchy electronic sounds is Britt Daniel’s frenetic vocals giving the song a sense of urgency. Here, Divine Fits summon the spirit of LCD Soundsystem. Dan Boeckner steps up to the mic for “Flaggin A Ride”, which introduces guitars to the fold and takes on an indie-rock vibe not unlike that of last two Modest Mouse records (2004’s ‘Good News for People Who Love Bad News’ and 2007’s ‘We Were Dead Before the Ship Even Sank’). “Flaggin A Ride” is a mid-tempo number that embodies a 70’s rock like swagger with subtle vocal hooks in lieu of a traditional chorus – in fact, the song barely deviates in pace or key for the entire duration yet never fails to hold your attention. Britt Daniel takes the mic back on “What Gets You Alone”; an effortlessly cool track featuring an Iggy and The Stooges attitude with a hint of David Bowie. “Would That Not Be Nice” sees Divine Fits change things yet again with the introduction of Kraftwerk like synths over the top of an otherwise fairly simple set up of drums, bass, Boeckner on vocals, and just a smattering of guitar. “The Salton Sea” takes the Kraftwerk style synths even further but ultimately goes nowhere. “Baby Get Worse” and “For Your Heart” are two of the stronger written songs on the album both with pop smarts in tact, the former also features some with Cheap Trick styling and 80’s retro synths, and both with a looming darkness lying underneath. While “Civilian Stripes” consists of only an acoustic guitar and vocal with the occasional nostalgia evoking piano melody, it has the urgency like that of the opening track and is a definite album highlight. Think The National meets Modest Mouse. A cover of Boys Next Door classic “Shiver” is a cool and interesting addition with Divine Fits offering a more “garage-y” rendition of the song with just bass, drums, guitars and vocals. “Ice Cream” combines Britt Daniel’s own Spoon with a Rolling Stones vibe, however without a chorus or little in the way of variation, the song feels aimless. Similarly, the final number “Neopolitans” combines Kraftwerk style synths with a dreamy almost shoegaze drenched vocal, and some odd guitar lines but just feels experimental and directionless. Overall, ‘A Thing Called The Divine Fits’ is an enjoyable and creative debut but just lacks that something special to take it all to the next level. ‘A Thing Called The Divine Fits’ was released yesterday (28 August 2012) and is available on CD, LP and Digital Download via the Divine Fits store page.